Rounding out our “national something month” is National Book Month. You can probably imagine that I would not feature just a run-of-the-mill book for this blog. 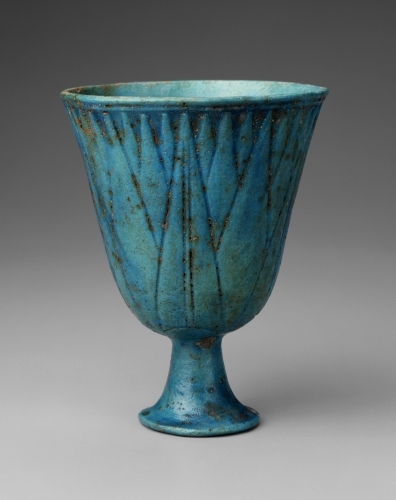 I choose instead one of the fascinating “firsts” in art history: a book of plant studies. 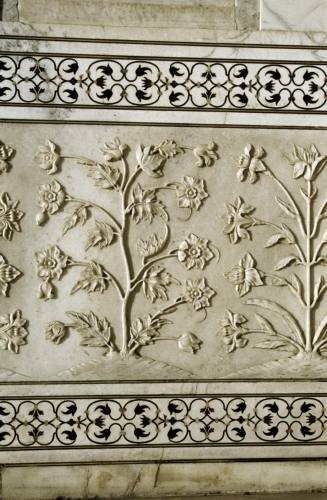 Depictions of flowers and plants have long been a key subject matter in art. During the Renaissance (ca. 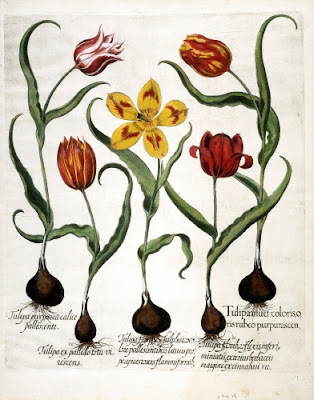 1400–1600) in Western Europe, the scientific study of plants was revived with new vigor, based largely on the revival of classical learning and the emphasis on a better knowledge of the physical world. Many artists specialized in botanically accurate depictions of flowers, much as John James Audubon (1785–1851, US) specialized in birds and animals of North America. Basil Besler was one such artist. He was a pharmacist in Nuremberg and was in charge of the bishop’s gardens at Eichstätt. In 1597 the bishop instructed him to create a botanical garden on the grounds of Willibaldsburg Castle. Besler documented this huge garden in the first Western book dedicated to species of flora. The book depicts 349 German, 209 southern and southeastern European, 63 Asian, 9 African, and 23 American species. In 1613 it was the most comprehensive modern book on plants in existence. Because Besler was not a scientist, he gave informative literature pertaining to each plant, including both the German name and Latin. The book contained 1086 illustrations, most in the plant’s natural size. What makes the book unique is that the depictions of flowering plants focused on them as objects of beauty, and was greatly influential in floral still life painting during the Baroque period (1600–1750). 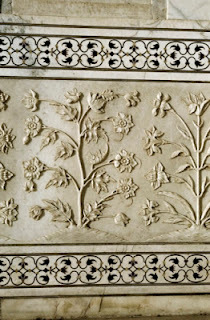 His book deviated from the non-aesthetic representations of flowers from previous periods, and set the standard for flower books in the following centuries. Studio activity: Nature sketch. In imitation of a print, experiment with pencils, markers, or crayons to create different types of lines. Do not worry about a balanced composition, or extreme detail in roots, etc. Simply try to capture the definitive shape of the flowers and leaves. Finish by coloring with watercolor or markers.